As many of you may be able to relate, I really have an issue with smoking and feel it’s such an unnecessary and senseless act. What I find most interesting regarding cigarette smoking, and tobacco addiction, in general, is that the people who smoke claim they do so because it relaxes them, helps them manage stress, blunts their appetite, and improves their concentration. Although these are common themes among smokers’ justifications for their need to smoke, the simple truth of the matter is that they are helplessly addicted to nicotine. And now, the news that smoking gives someone who is addicted any type of comfort may be changing due to some newly published evidence recently presented at the American Society for Addiction Medicine conference. The new report presented at this conference indicates that smoking can significantly decrease the quality of life of those who partake, even on a short-term basis! The research team analyzed 54 different studies that assessed the relationships between participants’ smoking frequency and their levels of physical, social, and cognitive functioning along with their overall mood. They found that smokers had lower scores in all of these measurements, even after smoking for a brief period. In my opinion, these are the reasons why people feel they are justified in their continued need to smoke. However, this evidence does not support that contention. The results of this meta-analysis were drawn from other studies that measured the quality of life in smokers using four different scales. Not only were lower levels of quality of life and higher scores for depression positively linked to smoking, but there was also a reduced likelihood for quitting. The study results also indicated that younger people, such as teens, who smoked were much more likely to experience a higher degree of poor mental and physical function. It was also discovered that the more people smoked, the worse their quality of life became. In addition, smokers tended to have lower levels of physical and social activity. The study also indicated that those who were frequently exposed to second-hand smoke were also more likely to experience lower scores relating to their quality of life. From my professional point of view, I find this issue particularly troubling. The study also suggested that heavy smokers were much more likely to experience mental health issues and experience higher levels of morbidity and premature death. The most interesting issue regarding this new research is that smokers who had quit experienced sequential improvements in general health, mental health, social functioning, loss of pain, and overall quality of life. The important takeaway message in this case is that smoking does not make you feel or function better. It robs you of your health in so many different ways, including your quality of life. Smoking leads to a decline in physical activity, mental health, and social functioning, while also increasing your risk of depression. Most importantly, this new information clearly indicates that if you quit smoking, your quality of life will improve and you will feel, act, and function better. 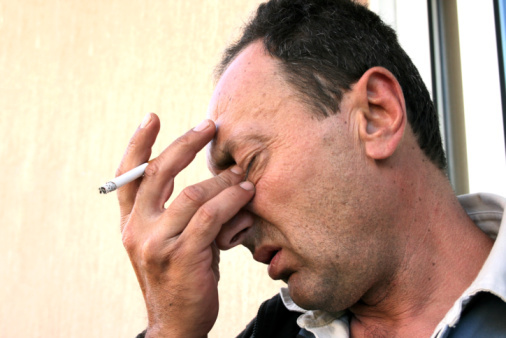 Lowry, F. “More Smoking Equals Lower Quality of Life,” Medscape web site, April 22, 2014; http://www.medscape.com/viewarticle/823985. Poster, American Society of Addiction Medicine, 45th Annual Medical-Scientific Conference, presented April 11, 2014.